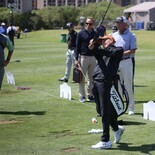 Alex gets miked up at the media center at the Texas Valero Open. 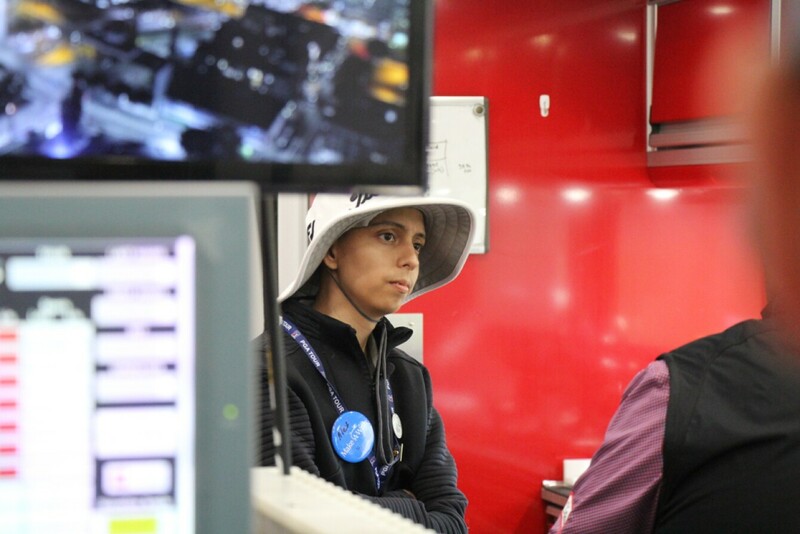 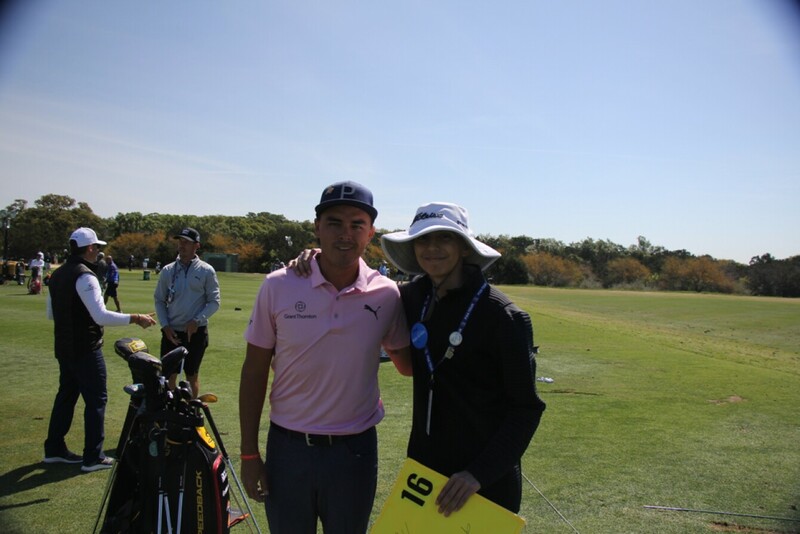 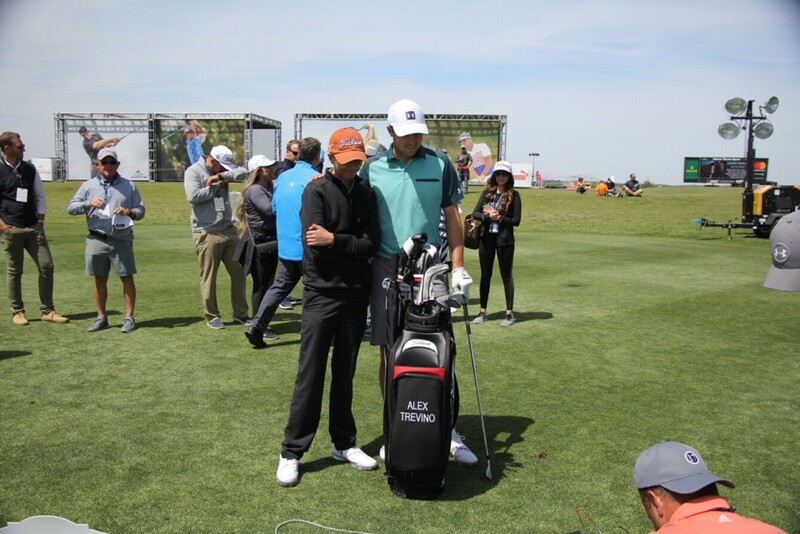 Alex's behind-the-ropes tour included a stop on the range to hit balls and collect autographs from PGA Tour pros. 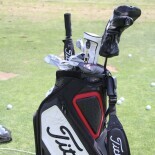 His two wedges featuring the cancer awareness ribbon symbolize the two times he is going to beat cancer. 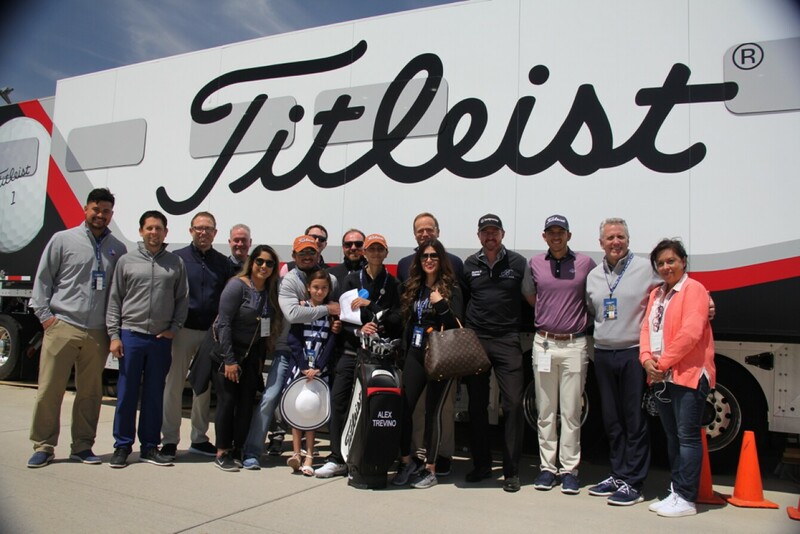 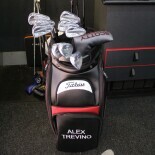 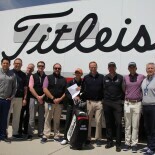 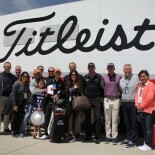 Alex signs his one-day deal with Titleist. 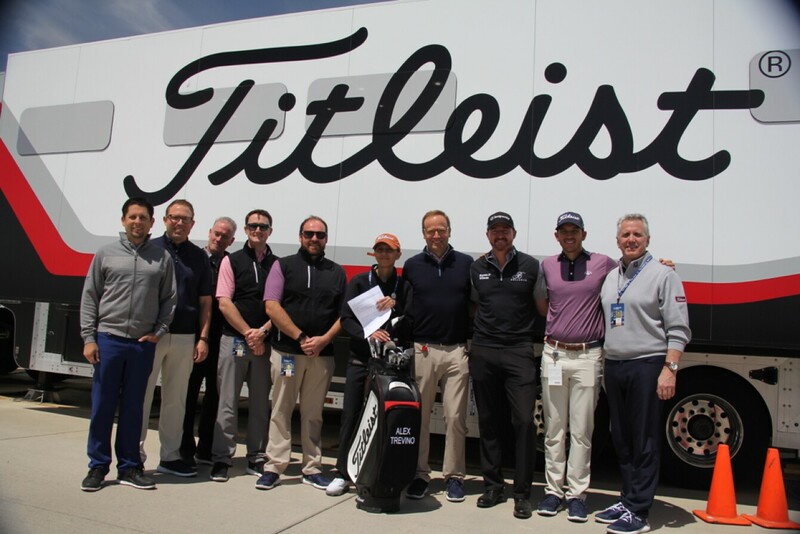 Personalized golf balls are just one of the benefits of a Titleist sponsorship! 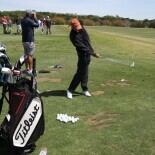 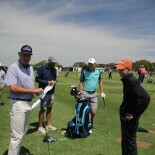 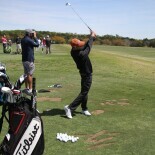 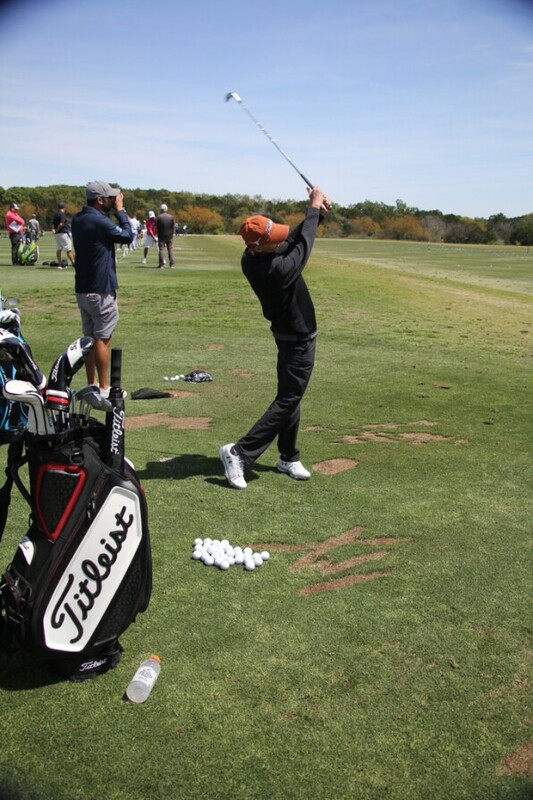 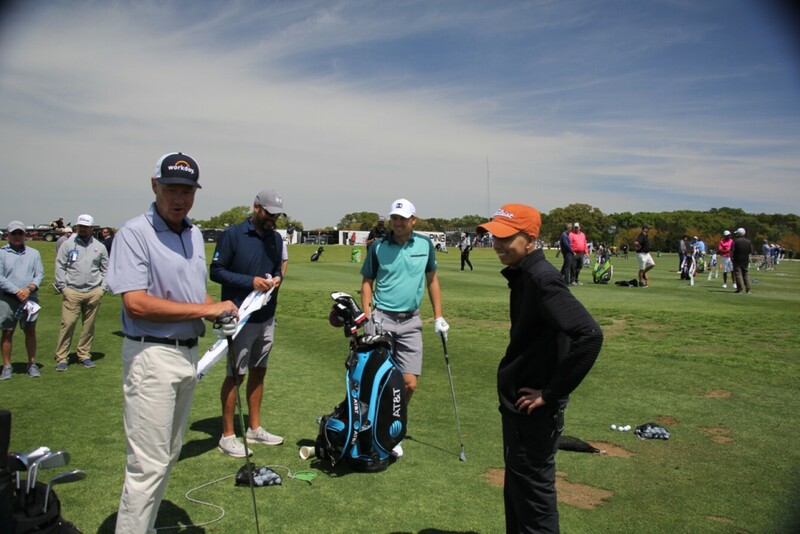 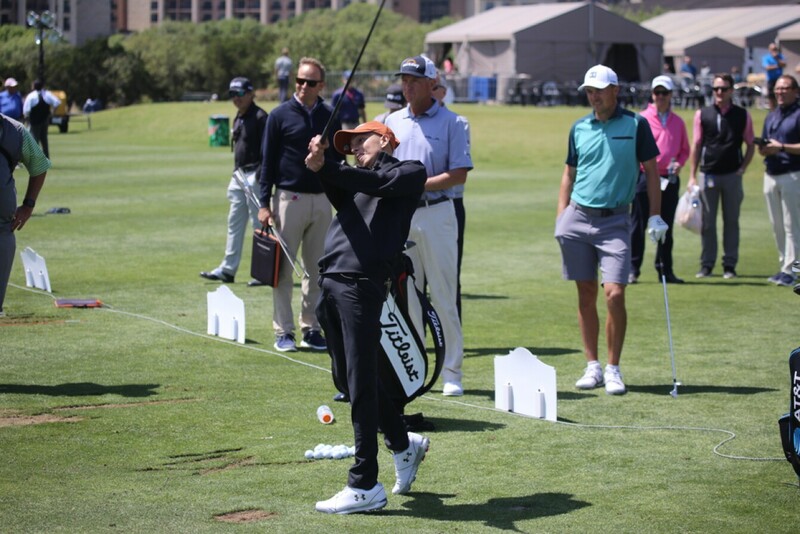 Alex is joined by Davis Love III, Michael Greller and Jordan Spieth on the range. 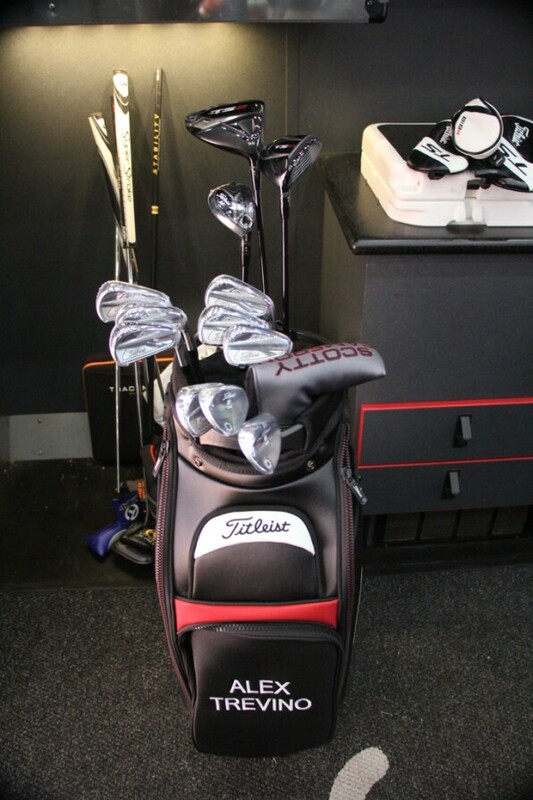 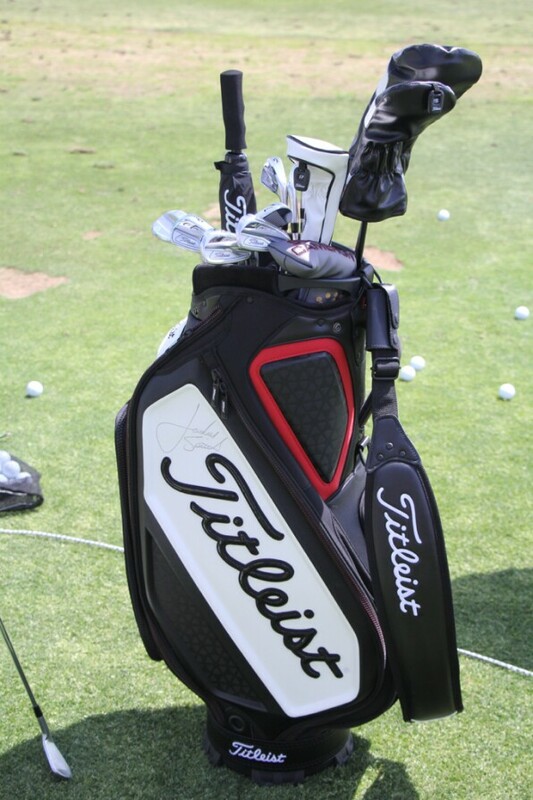 Jordan's signature on Alex's new Titleist bag.